One of the greatest challenges for parents today is time. We want to provide our children with nothing but best, but many of us simply have no time to get our teeth into the research needed to find the best health, education or leisure options available. Whether you need to know more about the risks of vaccinations for your child, or the types of enrichment courses available during the school holidays, Singapore Parents is here to help you to suss out the good from the bad, and the excellent from the mediocre. Our site provides a wealth of knowledge across a range of topics including tuition centres, enrichment courses, family-friendly establishments, and leisure and bonding activities, so that you’d never find yourself lost at sea. Let us accompany you through your parenting journey and provide you with the services you need. At Singapore Parents, you’d be able to find everything from expert advice to product reviews, and even online forums where you’d be able to meet other like-minded individuals with whom you’d be able to compare notes and discuss issues close to your heart. But it’s not all about Baby. Mummies and daddies get some room for themselves here as well! Whether you’re keen to find out more about different parenting styles, or looking to gain a balanced perspective on thorny issues, we hope that our site will be invaluable in helping you to be the parents you want to be, while remaining the very individuals who are helping to shape the future for your children. With a goal of instilling an enthusiasm for lifelong learning and a sense of global awareness, along with building the necessary skills to prepare students for the challenges and changes which lay ahead, Stamford American International School provides a world class academic offering. As a premier IB World School in Singapore, CIS delivers an outstanding educational experience that develops a love of learning, 21st century skills, and an international outlook - all essential for success in today’s globalized world. Students, aged 3 to 18, enjoy a world-class educational programme facilitated by highly qualified faculty members in an optimal learning environment. The Australian International School is the only school in Singapore offering an Australian curriculum enhanced with the IB Primary Years Programme, IB Diploma Programme & IGCSE, for students aged 2 to 18 years. 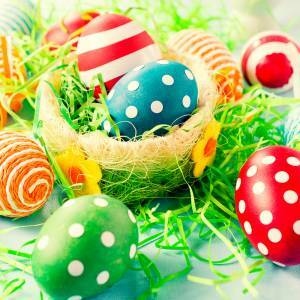 After Christmas, Easter is the next most widely celebrated Christian holiday in Singapore. With promises of chocolate and fun egg hunts, it’s little surprise that many people—particularly the young ones—are enthusiastic about taking part in the Easter festivities. However, did you know that egg hunting and chocolate bunnies are traditions with pagan roots, but with no ties to the Christian religion? The Easter Bunny originates from German folklore, where an ‘Easter hare’ judges how well or poorly behaved children have been and hands out the colourful eggs, sweets and toys that he carries around in a basket. In spite of its folkloric origins, some Christians remain fond of the Easter candy tradition, as Easter marks the end of Lenten fasting and they would then be free to indulge in their favourite foods. From a Christian perspective, the Easter egg also represents the resurrection of Jesus Christ and his emergence from the tomb. Saving money for the future is something that we should all try to do, but it isn’t always easy. Having money and spending it is fun, and makes us feel good, so it can often feel better to spend rather than save. However, if you can save as much as possible (while still allowing yourself some ‘fun’ spending money), you’ll be glad of it in the future, whether you are saving for your retirement, or for a vacation in the next few months. 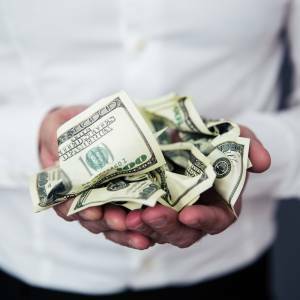 If you do want to start saving, here are some ways to do it. Saving for your future is a long term goal and should be started as soon as possible; the earlier you start to save, the more money you will have, plus it will become easier over time as you won’t miss the money you are putting into savings. This means that investments can be an ideal way to not only save but make money along the way too.